Home of some powerful performance testing solutions designed to leverage the performance potential of your Oracle environment. As a long time Oracle Technology partner, Testnext Software offers testing solutions for automated load and stress testing and performance monitoring dedicated to Oracle Technology. Does the Oracle Server function properly under load? Do the response times meet the target requirements? 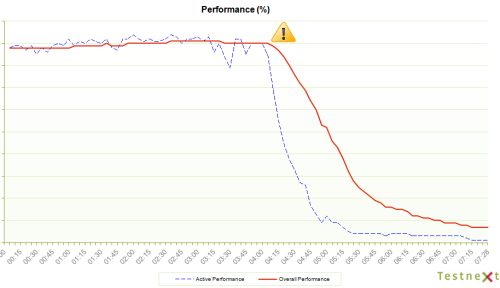 What is the impact on performance after a configuration change? How many simultaneous users/statements can the Oracle Server handle? With our testing solutions you can get an accurate picture of end-to-end system performance, identify performance bottlenecks before go-live and meet performance requirements and customer service level agreements (SLA) with confidence. Our testing solutions are indispensable when it comes to proactive and reactive performance monitoring, Supply Chain and Operations Monitoring (SCOM), application migrations, performance tuning, continuous testing, solving scalability and performance related issues, etc. Oracle MapViewer: JRockit or Hotspot? Why load testing Oracle Forms?